I couldn’t have asked for a closer and more insightful reading of my adaptation than that offered by Brian Bates in this article, and indeed he points out many things in the comicthat I was not consciously aware of having put into it. My adaptation was created all the way back in 2009, and there were many points in my reading of Bates’s article in which I felt myself wishing I could go back and redraw the comic so as to develop more fully some of the visual strategies he identifies. You can find one of Neil Cohn’s versions of “La Belle Dame Sans Merci” in Volume 2 of “The Graphic Canon: The Classics of World Literature as Comics and Visuals” (Seven Stories Press, 2012), whereas my own adaptation appears, in French translation, in the French edition of that same anthology, “Le canon graphique” (Éditions Télémaque, 2013). 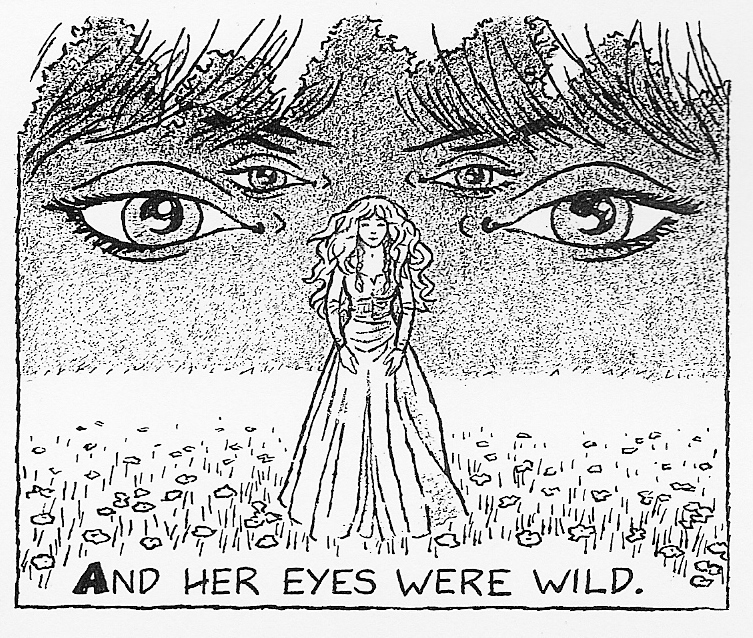 This entry was posted in academic writing, comic book poetry, comics, John Keats, Poetry Comics and tagged brian bates, cal poly state university, editions telemaque, journal, La Belle Dame sans Merci, le canon graphique, neil cohn, reconstruction, san luis obispo, seven stories press, The Graphic Canon. Bookmark the permalink.